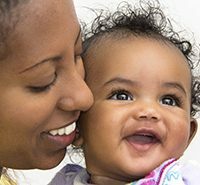 The Illinois Early Intervention (EI) Clearinghouse is a free resource for families considering or receiving EI services. Our goal is to support you in promoting your child’s development and full participation in family and community activities. We identify and provide information and resources (DVDs, podcasts, books, tip sheets) for parents that support them in nurturing their young child. We help explain EI services and the EI system in Illinois. Our Web site (eiclearinghouse.org) has an online library catalog of free lending materials related to parenting, parenting with special needs, typical and atypical child development, specific disabilities, and more. We understand that as parents you may want to know as much as possible about your child’s developmental progress and condition, as well as what to expect in the future. We are open Monday through Friday (8 a.m. to 5 p.m) to answer questions and help you find information; you can contact us by e-mail (illinois-eic@Illinois.edu) or by phone (877-275-3227). Our library materials are free for you to borrow. You can order them online or call us; we will mail them to you or send them to your local library for you to pick up. You simply return them through your public library. Many resources are available in Spanish as well as English. 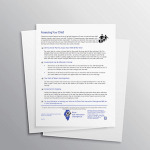 We have one-page information sheets that provide jumping off points for discussion with others involved in your child’s life. Our website each week presents breaking news on effective practices, medical research, parent education, and national and state policies related to developmental delays or disabilities. 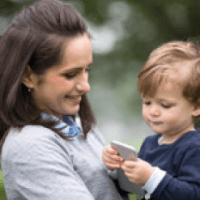 Our mission is to serve as a source of information that you and your families can use to face the joys, challenges, and milestones of parenting in the early years. Check us out! Books and DVDs are available for checkout for four weeks each and can be mailed directly to you. Contact us to let us know which materials we can send your way! ← What is Early Intervention?